National: Trivitron Group, the largest Medical Devices Company of Indian Origin with Eight Functional State of the Art Manufacturing Facilities in line with Make in India has launched Labsystems Diagnostics IVD Factory, an Indo Finnish joint collaboration; at Trivitron Medical Technology Park which is a 25 acres Medical Technology Park in SIPCOT Industrial Estate Chennai ‎to house multiple factories manufacturing variety of Medical Devices and Equipment under one campus. The Labsystems Diagnostics IVD Factory was inaugurated by Honorable Prime Minister of India, Shri. Narendra Modi Ji and PM of Finland, Mr. Juha Sipilä and Dr. GSK Velu, Founder and Managing Director, Trivitron Group of Companies on 13th Feb 2016 from Mumbai. Commenting on the occasion, Dr. GSK Velu, Founder and Managing Director, Trivitron Group of Companies said: “We are extremely fortunate to have with us Shri Narendra Modi Ji, and Hon Prime Minister of India and Mr. Jura Sipila Hon Prime Minister of Finland to declare open our new state of the art Manufacturing Facility built with Finnish IVD Technology from Labsystems OY Finland. Medical Devices industry is one of the biggest beneficiary of our Hon Prime Minster’s Make in India initiative with several new initiatives being taken by Govt of India to bring this industry out of over 85% dependence on Imports. I am an ardent admirer of our Prime Minister’s Make in India initiative and we are thankful to have our Prime Minister bless our inauguration event along with the Finnish Prime Minister to promote “Make in India” initiative in the Medical Devices segment. We will take this as a big encouragement to make more and more investments in own R&D and also Joint Venture Manufacturing initiatives in India”. For accessing latest technology and making it available to a larger section on the population, Trivitron has acquired a very reputed Medical Device company named Labsystems Diagnostics OY, World No. 2 in the New Born Screening Technology apart from having core technology expertise in several products in the area of Laboratory Medicine. The company have now done a “Technology Transfer” from their Finnish Company and created a State of the Art new facility capable of producing Biochemistry/ Hematology/ Point of Care Diagnostics/ Immunoassay, Mass Spectrometry Diagnostics Kits and Quality Control Sera in the Trivitron Medical Technology Park. This is the third manufacturing facility which will soon start commercial production in the Park. The park will manufacture First Ever Made in India New Born Screening System for the Nation and will make this technology accessible and affordable to the 27 Million Babies born in India slowly but steadily. Apart from New Born screening Kits the facility will be manufacturing high tech diagnostics kits first time in South Asia using Mass Spectrometry / Molecular Diagnostics/ New Generation Point of Care diagnostics platforms for various diseases and disorders in Women and Child Health area and Infectious Diseases diagnosis area. The new manufacturing facility will have the capacity to employ over 500+ people. 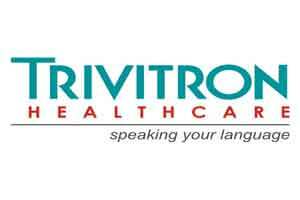 With 8 manufacturing facilities in India & Europe, Trivitron group has employee strength of 1500+ employees and Group Revenue of more than Rs. 700+Crores. The company has done investments of Rs.500+ Crores in medical device manufacturing sector. Some of the other unique import substitution initiatives started by the company over the past two years include, “Only Manufacturer of Ultrasound Transducers in India under Hitachi Aloka JV”, “First Manufacturer to bring in State of the art Monobloc and X Ray Generator technology under Kiran IMD JV” and several other unique import substitution initiatives in the areas of Imaging/Diagnostics/ Critical Care & Operating Theatre product segments to bring India out of 85% import dependency in India under “Make in India Policy”.Trivitron Healthcare is also working with Ministry of Health, Department of Biotechnology, Department of Industrial Promotion and Policy and Department of Pharmaceuticals either on their Own or through Industrial associations to create a policy framework which is conducive to Local R&D and Make in India initiatives in the Medical Devices Sector.